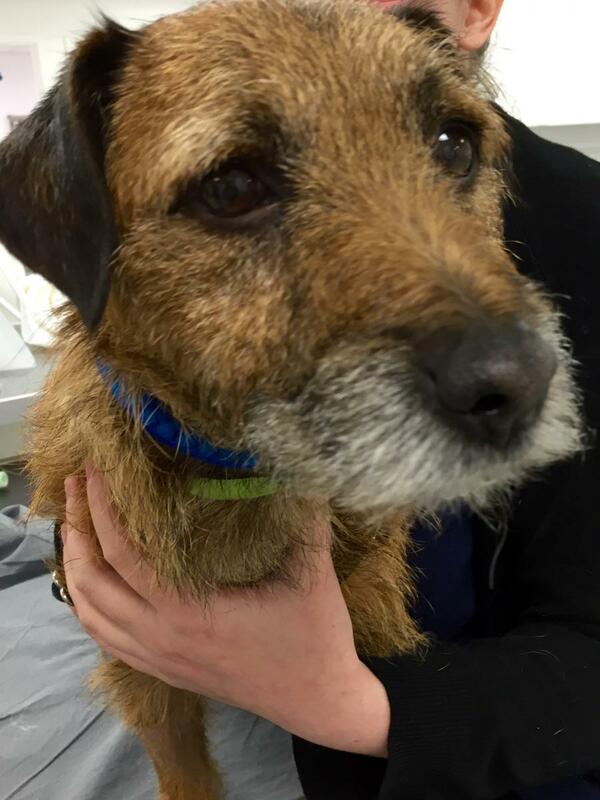 An adorable and very friendly terrier cross called Jim visited The Vet Liverpool with a sore paw. His owner had no idea what had happened other than that he had been playing in the garden with his brother when he suddenly started limping. There were no obvious wounds anywhere but we found that one of his toes was very painful. They gave Jim painkillers to make him feel more comfortable and took an x-ray which showed that he had broken one of the bones in his toe. They chose to manage the fracture conservatively, placing a support bandage around his foot to stabilise the toe, allowing the fracture to heal on it’s own. 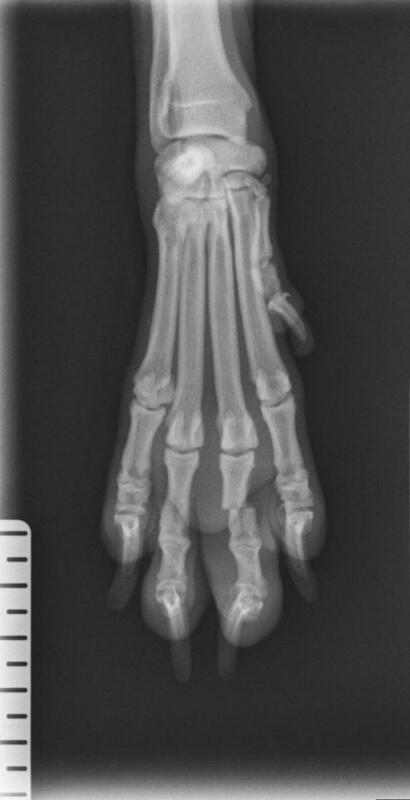 Unfortunately, due to the position of the fracture and Jim being a typical energetic dog and not wanting to rest, the fracture didn’t heal and after one month, the toe was still sore and felt unstable. We took another x-ray which showed that one of the bone fragments had moved out of alignment, so after further discussions and review of the options available, they decided the best course of action was to amputate the toe. This may seem quite a drastic measure but would allow Jim a shorter recovery period than if they surgically repaired the broken toe using plates and screws. The operation went smoothly – the toe was removed at the joint above the fracture and the skin stitched together to repair the foot. Jim was sent home the same day with some painkillers and anti-inflammatories. After two weeks of rest, Jim has recovered well and once the fur grows back, you will hardly be able to tell that he is missing a toe!